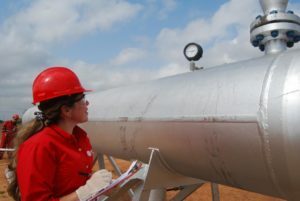 (Energy Analytics Institute, Piero Stewart, 11.Feb.2019) — PDVSA Gas, a subsidiary of Venezuela’s state oil company Petróleos de Venezuela or PDVSA, announced the start of natural gas production at the JAV-0001 well, located in the Javilla field of the Mara municipality in Venezuela’s western Zulia state. The non-associated gas well, drilled to a depth of 1,610 feet, is expected to produce gas that will be delivered to PDVSA Gas’ west coast transport and distribution system, announced PDVSA in an official statement on February 9, 2019. Gas supply from the well will benefit approximately 9,500 families in Mara, the company added. Venezuela, which is home to the world’s largest crude oil reserves and 7th largest natural gas reserves, according to the BP Statistical Review of World Energy, normally re-injects natural gas that is produced in association with crude oil wells located on shore. Over the last decade Venezuela has taken to exploiting its vast non-associated gas reserves located offshore in the Cardon IV and Mariscal Sucre projects. Production from these projects will be destined foremost for export to Colombia and Trinidad and Tobago, respectively, while some volumes could be consumed in the Venezuelan domestic market, depending on demand and external factors. EDITOR’S NOTE: PDVSA announced in its press release that the well was producing 500 thousand cubic feet per day (500 Mcf/d).